Construction industry buzz words for several years, “green building” is today more of a reality than a catch phrase. Builders of all sizes are making a commitment to offer certified green homes. 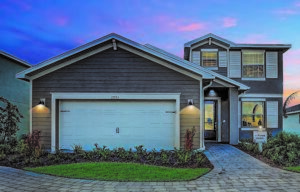 Lakewood Ranch-based Neal Communities is one of the top green builders in the state. Lennar is building in Babcock Ranch where developer Kitson & Partners has created an eco-centric town, raising the bar on responsible development with residential and community-wide standards. All homes at Babcock Ranch must receive a Bronze Standard of Certification or higher from the Florida Green Building Coalition (FGBC). “We understand the demand for energy efficiency features and construction. 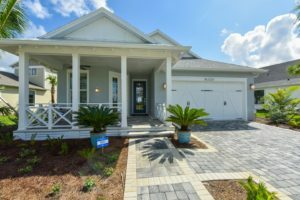 Energy performance is now a matter of utilizing building science, smart technology and energy conservation in a new home,” said David Meyers, Director of Operations for Lennar’s Southwest Florida Division. Meyers says that can mean LED lighting, solar panels, remotely controlled thermostats, low VOC interior paint, programmable automatic irrigation systems and cost-efficient tankless water heaters that heat water only when needed. With over 17,900 certifications, FGBC is by far the largest certifier of green homes and projects in the state. FGBC provides guidance to builders and developers beyond certification. Due to several and technological developments and innovative building science, going green is becoming easier. Today’s engineering and construction techniques offer continuous air barrier and sealing to help reduce internal leaks and drafts. Higher initial costs are becoming a smaller obstacle for single-family builders than in the past. “One of the myths about building a green home is that it is going to be way too expensive. A good builder is already building a solid home, make a few changes, and the cost factor is not going to be that great and the customer will be much happier throughout the life of that home,” Sollitto said. Builders have additional green options that can make a new home even more energy efficient, all the way to net-zero, including a double-stud wall, energy wall, solar hot water systems, triple pane windows and more. Unlike other national and international certifications, FGBC are only standards that address Florida’s hot-humid climate, environment, unique topography and natural disasters. “It’s almost become the norm that a homeowner is looking for some type of certification or some type of sustainability engagement by the builder,” said Drew Smith, the founding president of FGBC and owner of third-party green home certifier Two Trails Green Consulting. For more information contact the Florida Green Building Coalition at info@floridagreenbuilding.org, visit www.floridagreenbuilding.org call (407) 777-4919. Mike Bonts is a member of the Florida Home Builders Association and president of Mike Bonts Public Relations, a Jacksonville, Fla. based real estate PR and brand development firm for builders, developers and luxury real estate.